Our Contractor Storage area is designed with contractors in mind. 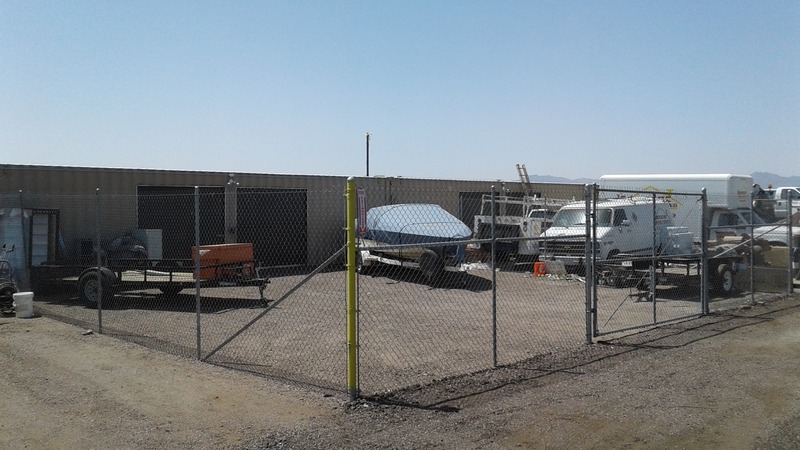 The area isn’t the prettiest at Pecos Storage, but work gets done here! With 24/7 access you can get in early and bang around loading the truck for the day without disturbing anybody. We have painters, HVAC, plumbers, landscapers, pressure washers, roofers, parking lot sweepers, scaffolding rentals, etc. We provide you a low overhead place to work from. Six high definition, 1080p security cameras watch your equipment while you’re away. We’ve been customers for many years, 1st in the east lot, then in the south lot and now in the west lot. You always have your customer’s best interest in mind. Whether it’s security, lighting, 24 hour access, dump station, etc. Top notch customer care, great helpful staff and VERY reasonable rates.